A study by Google called “Behind the Box Office: What Influences the Films We See” has found that trailers are by far the biggest determinant of what movies moviegoers chose. While the study come out in favour of YouTube, the infographics still has plenty of interesting facts and conclusions. Google conducted a study, analyzing nearly two years of search data, to determine what makes frequent moviegoers choose which movies they’ll see. As you may have guessed, the carefully composed missives of yours truly (and my critical brethren) don’t really figure into the equation. But frankly, neither do filmmakers, actors, or even word-of-mouth. No, the biggest influencer is the movie trailer(which might help explain why there’s six or seven of them before every feature nowadays). France – Yet the Google study above is contradicted by another study by the French audio-visual authority CNC, that finds that word-of-mouth is the most important factor, at least amongst youth, but only by a small margin. Young people also tend to decide on the day of the movie visit what film to watch, which sets them apart from the rest of the cinema-going population. Very detailed study that points to clear generation differences and importance of social media. When asked about the information channels to choose a movie, young people aged 15 to 24 cite, in order of importance, word-of-mouth, oral or via social networks (58.6%), the extracts trailers or seen on television (56.8%), trailers views cinema (56.4%). Conversely, they are 17.8% cited advertising or articles in the press and 29.4% the criticism in the media, according to studies of the National Film Centre, based on surveys of Médiamétrie or Harris conducted with several thousands of people throughout the year. The entire population, she favors ads on TV (51.6%) and word-of-mouth (47.5%). 32.5% rely on critical to their choice. The same week that Lionsgate UK’s CEO was quoted advocating flexible cinema pricing, Odeon was found by Film Divider to charge GBP £1 extra for Hollywood blockbusters as part of its “dynamic pricing policy”. This is said to be for ‘extra staff’. 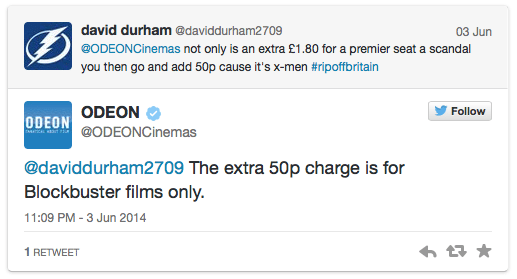 Already this summer Odeon was charging 50 pence extra for films like “X-Men: Days of Future Past.”. Odeon have quietly instigated a new policy and introduced price bumps for big-draw films. They have added a £1 surcharge to the price of tickets to Interstellar, for tickets both booked online and in person. The same will also stand for The Hunger Games: Mockingjay when it releases across the UK on Thursday and, once it releases in December, the third Hobbit film. 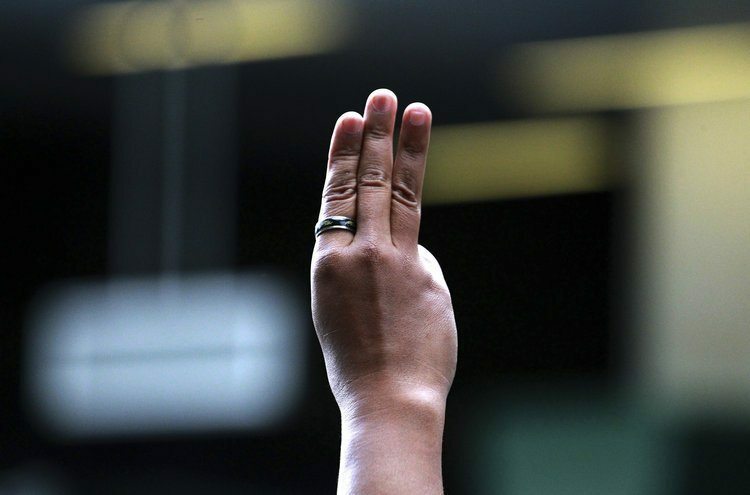 Thailand – A Thai has pulled screening of the new “Hunger Games” film – because of pro-democracy activists’ adoption of the film’s three-finger salute. Five university students were arrested in the country on Wednesday for flashing the franchise’s signature three-fingered salute at the country’s prime minister during an official government event ahead of the opening of the film in the country on Thursday. France – Ymagis has signed a deal with a Hollywood studios, but is not permitted to say which. I’m speculating Fox. YMAGIS, the specialist in digital technologies for the cinema industry, announces the signature of an agreement with one of the top three major US production studios for the delivery of all its cinema content across Europe. 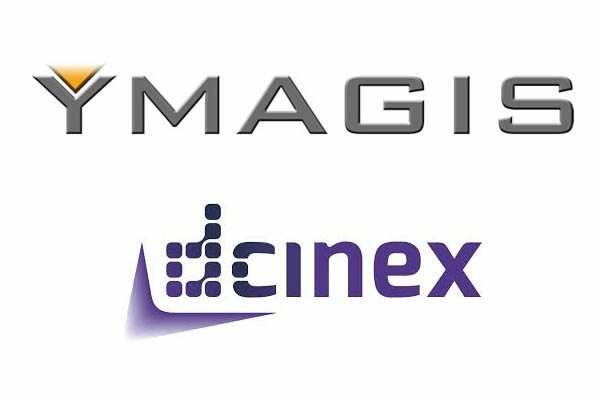 After the creation of SmartJog Ymagis Logistics, a joint company with SmartJog (TdF Group), in December 2013, the purchase of the Arqiva’s content delivery network in April 2014 and, finally, the acquisition of dcinex, completed in October 2014, YMAGIS established the leading European delivery network for digital cinema content. The non-exclusive agreement stipulates that YMAGIS will provide a complete delivery service for its movies and trailers, through the Group’s network, covering more than 3.200 cinema sites in France, Italy, Germany, Spain, United Kingdom and in more than 10 other European countries. Italy – One way to stage a political come-back; promise free cinema tickets for pensioners. 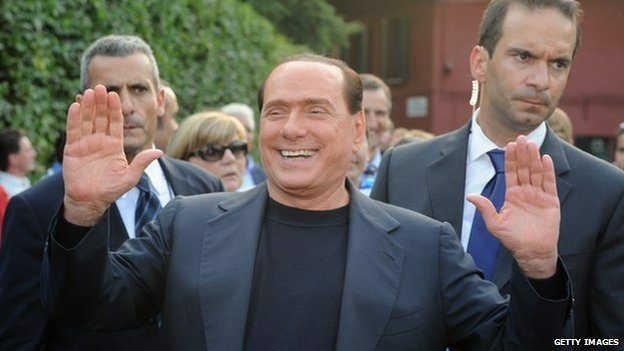 Pensioners in Italy will get free trips to the cinema if Silvio Berlusconi’s party is returned to power, the former prime minister has reportedly said. UK – Once again British journalists demonstrate their general ignorance in being unable to distinguish between a drive-THROUGH and drive-IN cinema. Oy vey. 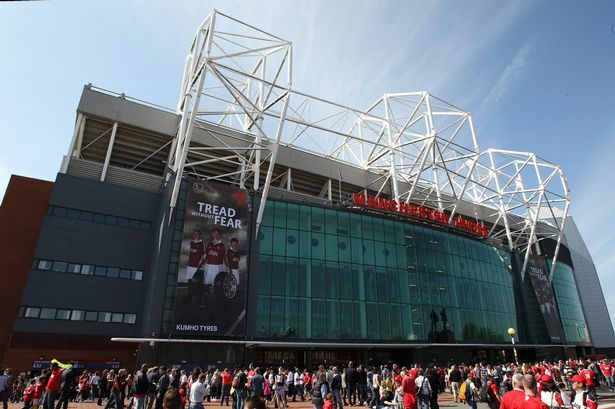 Manchester United is to be transformed into a huge drive through cinema in the week leading up to Christmas. From December 19 until Christmas Eve, the club will play host to the Magical Christmas Drive-In Spectacular which boasts the biggest LED screen ever seen in city. USA (NY) – Audience Entertainment’s CEO Barry Grief pens an article for Inc. about what cinema going will be like in 2020. Perhaps not surprisingly point 2 is “Say hello to interactive cinema advertising.” Interesting, but reads a bit like a Sponsored Feature. 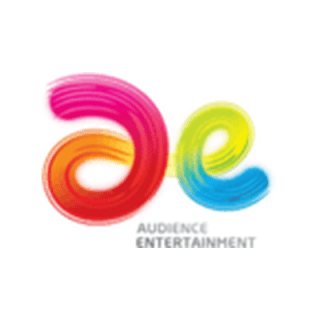 USA (OK) – Another discount theatre put out of business by the switch to digital. According to NATO there are now just 700 theatres operating that have not converted. 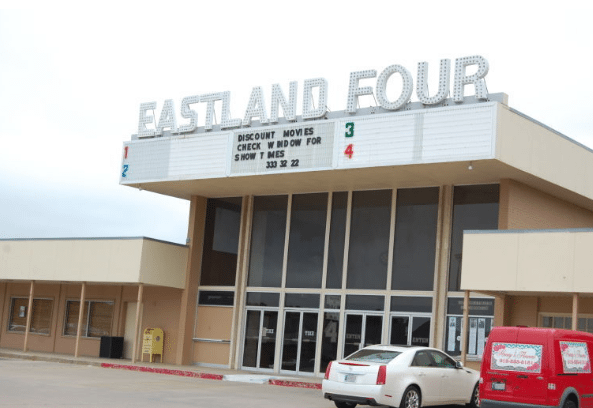 Eastland Four Theater in Bartlesville announced Wednesday via its Facebook page that it will close its doors Thursday after its evening movie showings. The four-screen discount theater, which has provided entertainment to the community for decades, will show its final film “Planes: Fire and Rescue” at 7:30 p.m. Thursday. Three other films will start around the 7 o’clock hour. 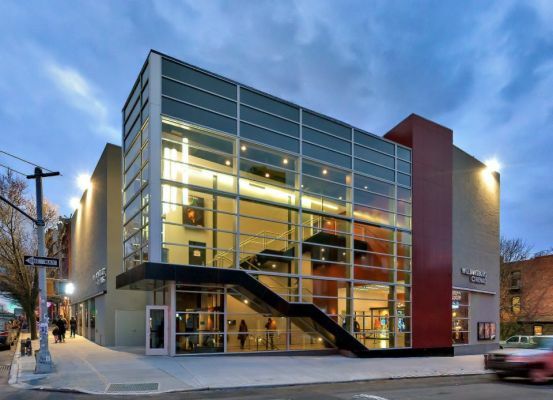 Industry changes and expense are behind the closure, theater owner James Veit said. A real estate developer has snapped up the site of the city’s oldest independently owned movie theater for $7.5 million. 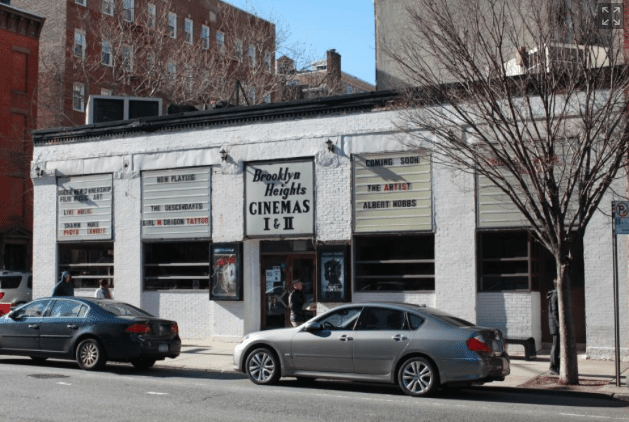 Brooklyn-based Madison Estates and JMH Development are the new owners of the two-screen Brooklyn Heights Cinema, the cute one-story white brick building at 70 Henry St. between Cranberry and Orange Sts., which shuttered in August after 44 years, the Daily News has learned. 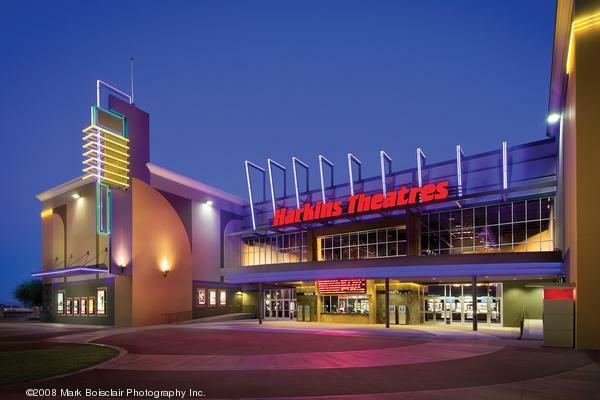 USA (AZ) – Harkins Theatres is expanding its footprint around Phoenix Arizona with a new cinema in Goodyear. The Scottsdale-based chain of movie houses announced this week it will break ground on a 78,000-square-foot 16-screen multiplex as part of the long-in-the-works Estrella Falls regional mall project slated for a swath of land north of McDowell Road between PebbleCreek Parkway and Bullard Avenue. Switzerland – The greater Zurich area is getting full of multiplexes, with more on the way. U.A.E. – Vox Cinemas continues its expansion in the Emirates. 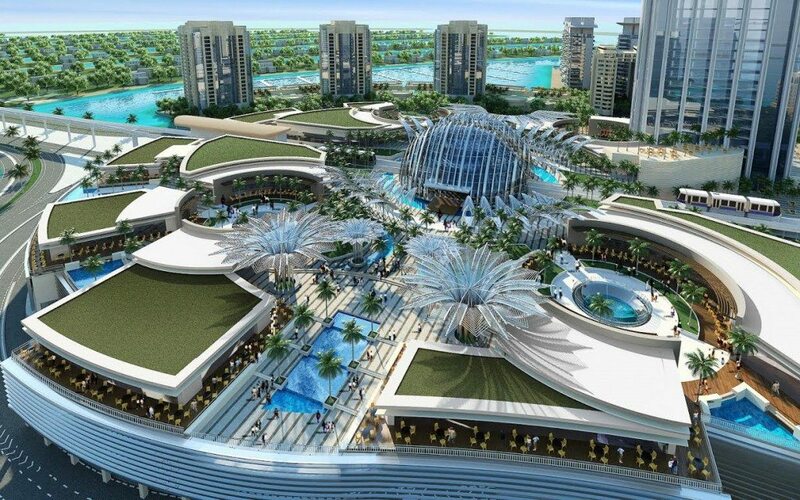 Master developer Nakheel has signed cinema operator Vox Cinemas for Nakheel Mall on Palm Jumeirah, where more than half of the available retail space is now booked, the developer announced today. Occupying a two-storey, 60,000 sq ft area at Nakheel Mall, Vox Cinemas will feature 15 theatres, including the popular Vox Max big-screen concept and the Vox Gold experience. 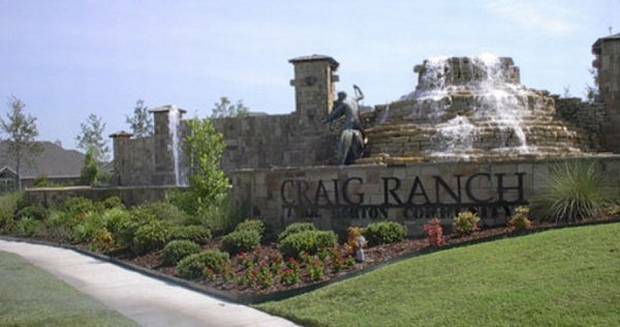 USA (TX) – There’s a new multiplex planned for the McKinney’s Craig Ranch community. Moviehouse & Eatery said Tuesday it will build its fourth facility in the Craig Ranch development located on the north side of State Highway 121. The Austin-based company has contracted to purchase a 6.5-acre tract of land on S.H. 121 at Exchange Parkway. 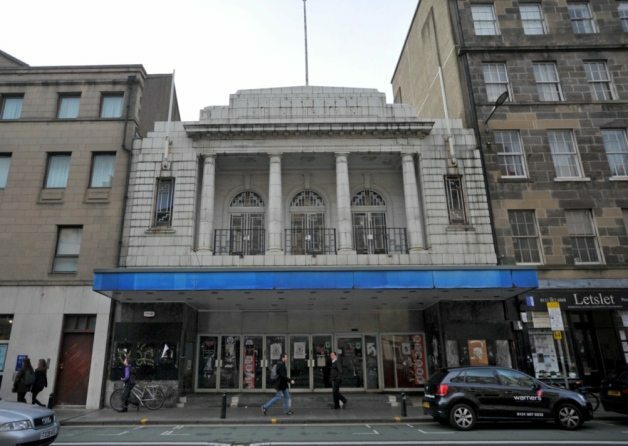 UK (Scotland) – It looks like the historic old Odeon cinema in Edinburgh could make a comeback as a cinema. A MYSTERY buyer is in talks with developers over restoring the former Odeon cinema – an iconic venue which has lain vacant since 2003. The Clerk Street landmark has been subject to several attempts to transform its fortunes, including a failed bid by singer Susan Boyle’s brother Gerry to turn it into a Las Vegas-style theatre. 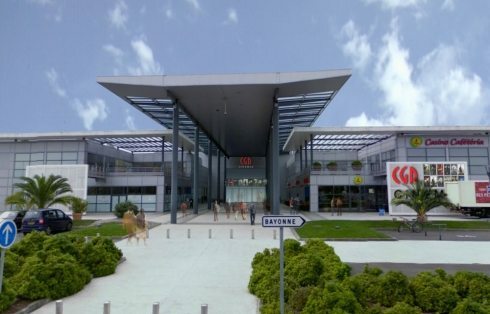 UK – Curzon Cinemas will not only take up residence in a new Westgate shopping mall at the outskirts of Oxford, but judging from the artists drawing it looks like they will be also showing “Citizen Kane”. Yeah! 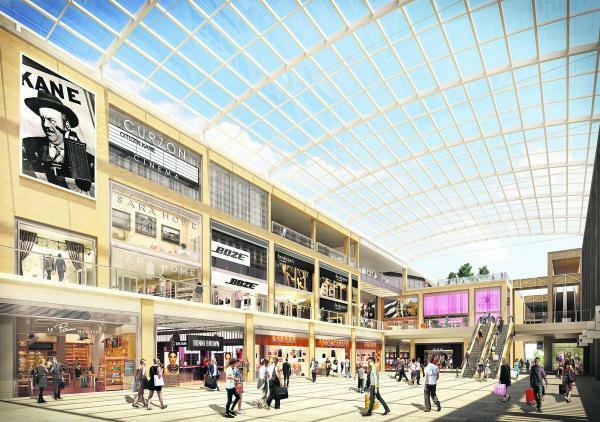 A FIVE-screen cinema and designer fashion outlet have been revealed as the latest two big name tenants for the redeveloped Westgate Shopping Centre. Developer Westgate Alliance Oxford said it had signed deals with Curzon Cinemas and Michael Kors, that will operate alongside a flagship three-storey John Lewis store. 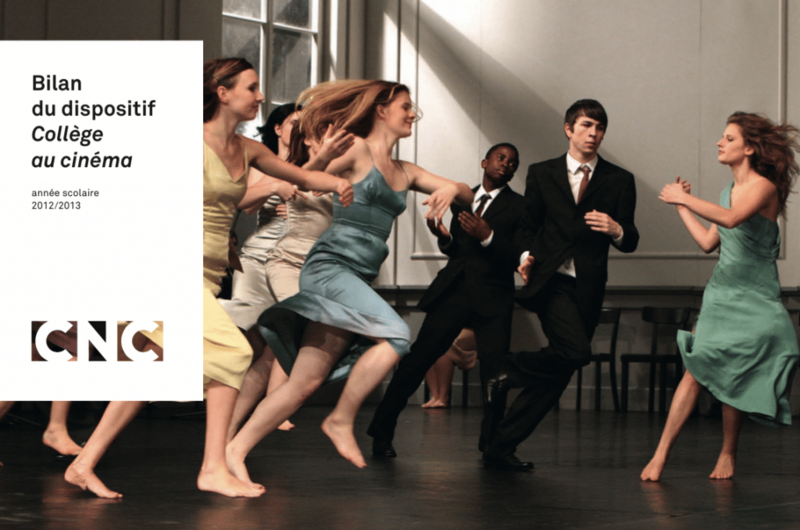 France – It is ‘thumbs down’ for a cinema in Chenôve. 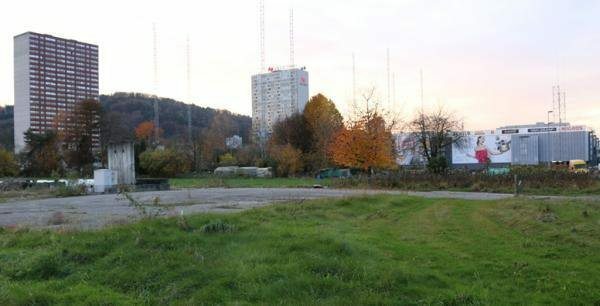 France – But it was ‘thumbs up’ for a megaplex in the city of Pau. 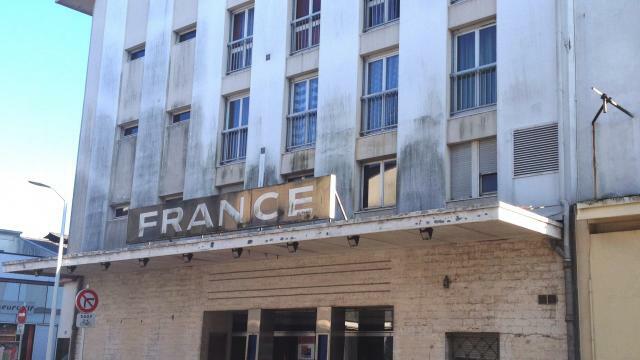 The proposed 9 Lescar cinemas supported by the city of Pau was unanimously approved. It is a decision of the National Business Improvement Commission which met on Wednesday midday in Paris. So this is the end of the suspense for the project in Quartier Libre cinemas Complex. National Business Improvement Commission met Wednesday afternoon to make its decision. A meeting that was attended by Christian Laine, mayor of Lescar (his duties end tonight before new elections on December 14) and assistant to planning for the city of Pau, Jean-Paul Brin . amNewYork picks the best five cinemas in the Big Apple. We are particularly partial to this one in Brooklyn.